Though I’m often in denial about it, I’m on a college budget and need to start acting like it! I’ve mastered the art of walking through a mall without buying clothes I don’t need and have learned to cook at home to eliminate expensive checks, but I’m still working on going out and maintaining a low tab. In an effort to drink cheap and late night eats low – here is our guide to low-cost bars in Lincoln Park; ballin’ on a budget, if you will. As a southern girl, I love the idea of going to Derby and on Monday nights for the $5 Burgers and $5 Fat Pour Drafts. Derby is a nicer hang for one dining on a small budget, so Monday’s are great! 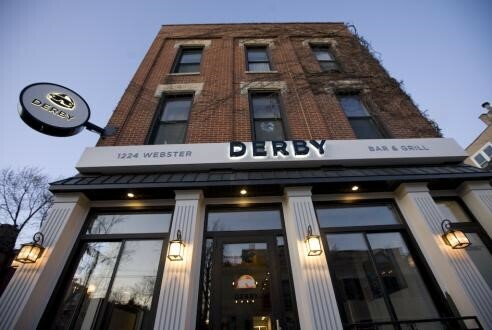 According to their website, Derby is one of Chicago’s oldest prohibition bars and their simple southern charm atmosphere reflects its history perfectly. The inside is nice, but I definitely recommended you take your burger and beer outside to the beautiful beer garden on the side. On Tuesdays Clarke’s offers $1 Beef Tacos, $2 Corona Bottles, $3 Jameson Whiskey, $5 Patron Tequila, and $3 Fireball Whiskey. What’s better than 2 tacos and 2 Coronas for $4?? Do tip the waitresses well though, they are all super sweet and ready to load you up with the specials. 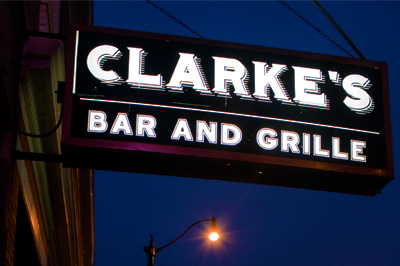 I don’t frequent Clarke’s on weekends often because they tend to attract a young and sometimes rowdy crowd but Tuesdays at Clarke’s are prime. This giant bar on Diversey offers $1 Budweiser, Shock Top Drafts, and Bud Light on Wednesdays, but the best part is the live music. The cover band, “The Hot Sauce Committee” knows how to get the entire bar dancing and belting the lyrics to all the beloved oldies. The front room is separate from the band so whether you’re there to drink on a small tab or sing your heart out to “Backstreet’s Back,” Duffy’s is the place for ballin’ on a Wednesday budget. McGee’s Tavern and Grille is the classic neighborhood sports bar and is located at the Sheffield and Webster intersection in the heart of Lincoln Park. On Thursdays McGee’s offers $1 Bud Family Bottles and $4 Fireball shots. If you enjoy your experience at McGee’s, check out some of the other Bar1 Events bars like Durkins, Redmonds, and others. 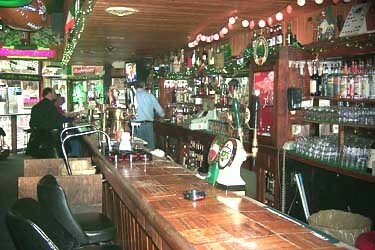 On Lincoln just north of Fullerton, Irish Eyes offers $3.50 PBR Tall Boys on Fridays. Beware, if you are not in college – this is a college bar, but one of the most beloved of DePaul bars. Irish Eyes is loved by the young folks in the neighborhood for the music on Wednesday – Saturday nights. They offer some of the best of country music and you can be assured the entire bar will be swaying to “Wagon Wheel” at least once in a night. Some are deterred by the dark green carpet but Irish Eyes has the wonderful “bar” feel; not too big, not too small, and clean but hilariously graffiti-ied bathrooms. Finding a deal on Saturday nights is the real trick especially if you’re looking for main-stream bars, but it’s is definitely possible! 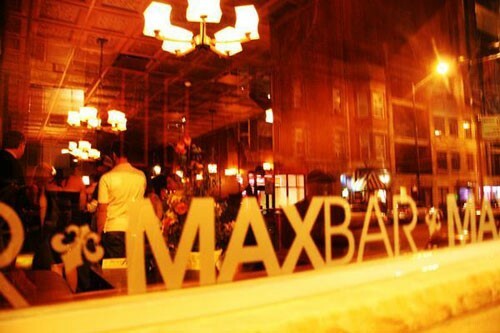 My suggestion would be to go with a big group of friend to MaxBar on North Lincoln. On Saturday nights they offer one bottle of Grey Goose and one bottle of Patron Silver for $225. Though it doesn’t sound like the best deal at first, keep in mind you’re paying in a group for bottle service on top shelf vodka and tequila. Have fun out there! 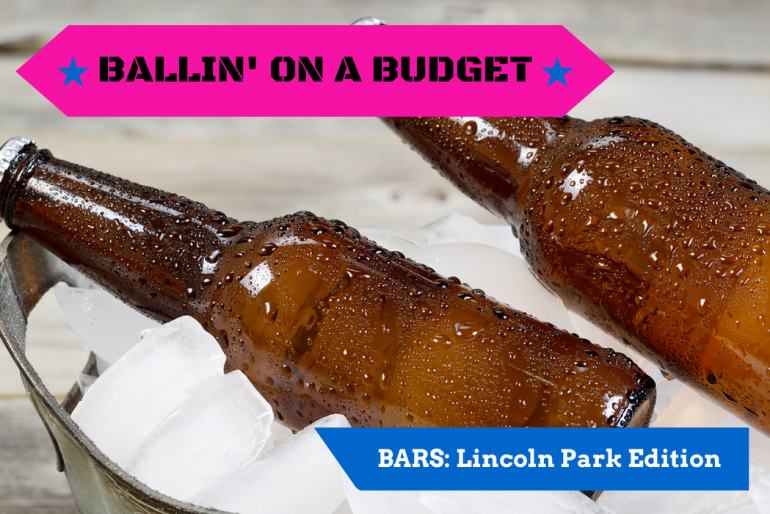 What are your favorite spots for Ballin’ on a Budget in Lincoln Park? Comment below!